For businesses involved in the interstate transportation of goods by truck, December 2017 brings an important change – into the electronic age – as to how drivers must keep track of their working hours. For many decades the federal government limited the number hours a day a driver could be behind the wheel of a large commercial motor vehicle (CMV). Sometimes called hours of service (HOS) regulations, Generally, a CMV driver could “drive” no more than 11 hours every day and “work” no more than 14 hours a day. Drivers usually kept track (in 15 minute increments) of when they were “driving,” “on duty, not driving” or “off duty” by using a paper based logbook. Starting in mid-December 2017, with limited exceptions, all CMV drivers formerly using paper log books now must keep track of their time with a compliant Electronic Logging Device (ELD). Importantly, the basic HOS regulations didn’t change, only the method of keeping track of those hours changed. Earlier this decade Congress mandated that the Department of Transportation (DOT) develop a better logging system less prone to falsification and more capable of verification. As a result, the DOT’s Federal Motor Carrier Safety Administration (FMCSA) devised technical and registration requirements for ELDs and set December 18, 2017 as the deadline for CMV drivers to start using electronic devices. 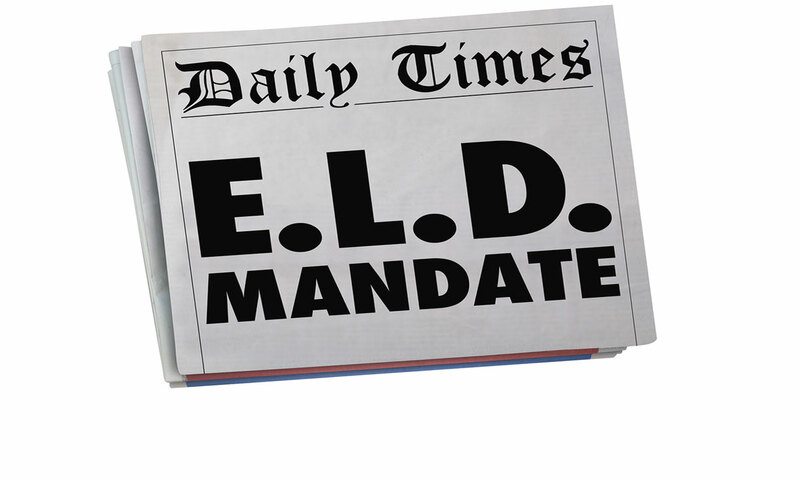 There is no one “official” ELD and there are approximately 200 devices officially registered with the FMCSA as being compliant with the new ELD regulations. These devices range in price from a few hundred to a few thousand dollars and range in size from a cell phone application with a hard wired module attached to the CMV to a fully hard wired permanently mounted unit in a CMV cab. Importantly, the new ELD regulations did not change who must log driving time. The same exceptions that applied to paper logging apply to electronic logging. For example, certain local route drivers (staying within a 100 or 150 mile radius and returning home every night) never needed to use paper logs and don’t need to use ELDs now either. In addition, certain drivers in the agricultural, oil field, concrete and holiday delivery industries, as before, still don’t need to comply with logging regulations – paper or electronic. For an even smaller subset of CMV drivers where mounting an ELD would be impractical or impossible – in older trucks or drive away operations, for example – may still use paper logs. If you are not certain whether ELD or CMV logging regulations apply to you or your business, contact Mike Glover at 612.336.1269 / mglover@lommen.com or one of the other professionals in the Lommen Abdo Transportation Practice Group.